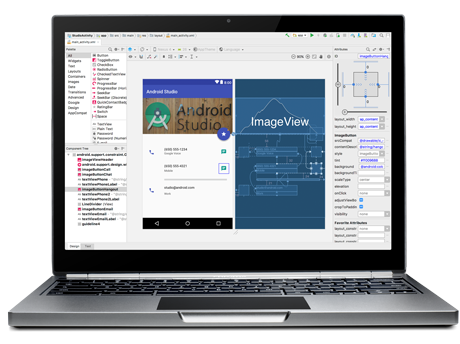 Google’s suite for mobile apps development, Android Studio version 3.1 released in late March, brings enhancements for SQLite and Room databases in applications, with support for better code editor to aid developers with SQL table and query creation statements. Android Studio 3.1 IDE also added improvements for C++ and Kotlin coders and for SQLite database users. While developers use the simplperf command line tool as the backend and the profiler records C++ method traces, the C++ CPU performance profiler troubleshoots bottlenecks in the code. The former Android Studio 3.0 IDE brought support for the Kotlin language for building Android applications, and enhancements to its build system and debugging, which also interoperates with existing Android languages and runtimes. Kotlin, Lint code quality checks can now run in the command line as well as from the IDE in the current version. And developers can take advantage of the Lint capability to open an Android Studio project and use the command line to run gradlew lint. To add Kotlin to a project, developers can use the conversion tool found in the Android Studio IDE via the menu sequence Code > Convert Java File to Kotlin File. Android Studio version 3.1 IDE can be downloaded from the Android Studio website.